One of the victims killed in a shooting at a Maryland warehouse had a new job and a new wife. The Baltimore Sun reports that Sunday Aguda had been planning to celebrate his 45th birthday, which was just three days away. But he never made it. On Thursday, Aguda was on his break outside a Rite Aid warehouse in Harford County when he found himself in the path of the shooter. He and two co-workers were killed and three others were injured. Police said Snochia Moseley, a temporary worker at the facility, carried out the shootings before killing herself. Aguda was a native Nigerian who had only worked at the facility for three weeks. He and Scott got married in February. A 21-year-old woman who was killed when a shooter opened fire at a Maryland warehouse had just started working there two days before the shooting. The Baltimore Sun reports that Hayleen Reyes had moved to the U.S. from the Dominican Republic five months ago. She had just started a new job at the Rite Aid distribution center in Harford County. Police said Snochia Moseley, a temporary worker at the facility, fatally shot three people and injured three others before killing herself Thursday. Reyes’ family members said she was a bright, outgoing person who dreamed of becoming a professional singer. She lived with her father and her 1-year-old daughter. 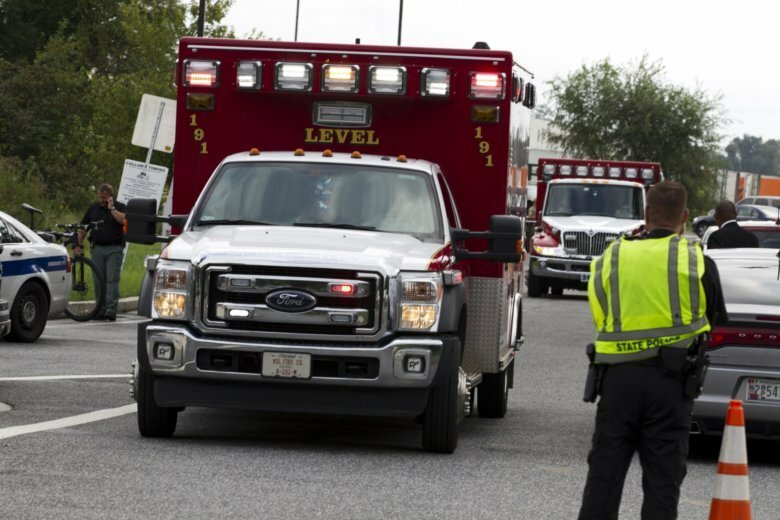 Law enforcement officials said Friday they might never know the motive for a female shooter’s violent rampage that killed three people and wounded three at a sprawling Maryland warehouse before she turned the gun on herself. It’s little consolation for grieving relatives and others trying to find answers. Harford County Sheriff Jeffrey Gahler told reporters Friday that 26-year-old Snochia Moseley of Baltimore County had been diagnosed with some kind of mental illness in 2016 but had legally purchased the handgun she carried in the deadly Thursday morning attack. Law enforcement officials said the particulars of Moseley’s mental illness history would not have flagged her from purchasing a gun in Maryland.